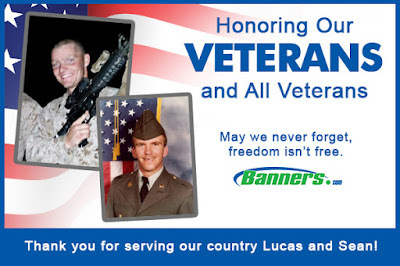 We would like to take a minute to thank all Veterans for their service, but especially our employees Lucas and Sean. Sargent McKirdy of the United States Marine Corps was deployed twice. Once to Okinawa Japan, and a second deployment to Kuwait outside of the Iraq border. Sargent McKirdy served four years as an 81mm Mortarman in 3rd Battalion 1st Marine Regiment. Sean Walker of the United States Army served 10 years active duty. He started in Field Artillery 13B and stayed there for two years. He then changed to Wire Systems installer 31M for three years. At that time was detached to Granada with the 2nd Ranger Battalion, then to Infantry 11B. In 1987 he served in Honduras, Operation Solid Shield and then in 1990 he served in Desert Storm. We are very honored to have you on our team Lucas and Sean. Once again, thank you for your service.